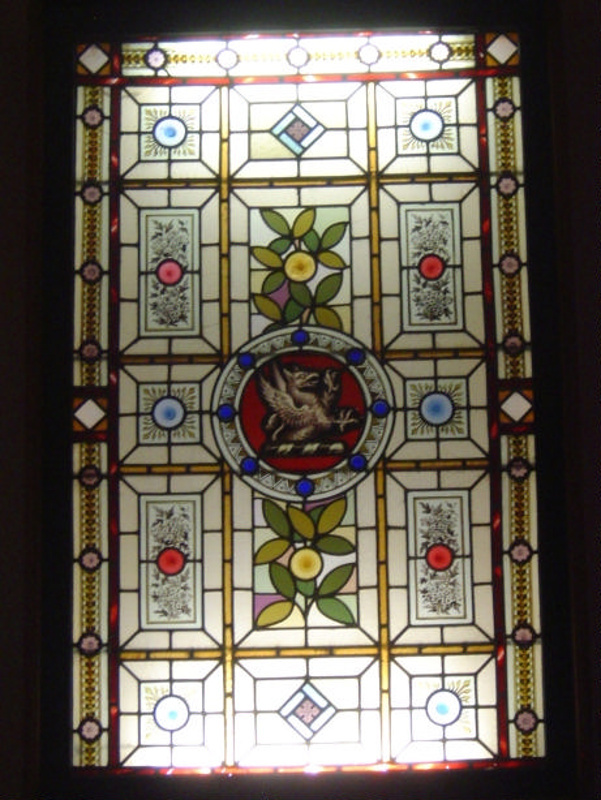 A late 19th century stained-glass window bearing the MacCabe Family crest contained within a silky oak frame. The window was installed in the stairwell of Russell Vale house built by Francis MacCabe about 1857. The house was demolished in 1966.